ProHealth Allergy (Smithtown) - Book Appointment Online! Please use this site to schedule your initial consultation today. PLEASE CALL OUR OFFICE DIRECTLY TO MAKE A FOLLOW UP APPOINTMENT. 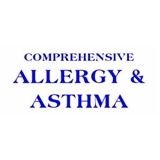 Our practice specializes in the treatment of allergic disorders and asthma in infants, children and adults. For optimal results from allergy testing please avoid antihistamines for 5 days prior to visit. Board Certified in Allergy & Immunology. Dr. Weiss was very professional and kind. Unlike many doctors, he took his time and made sure he answered all of my questions. Definitely recommend. Very helpful and informative. Seeing her again next week!